The Dutch Government has warned the social situation at the EPO will have to improve soon. The International Labour Organisation (ILO) has complained it is not acceptable that over half of the workload of its Tribunal is generated by complaints filed against the European Patent Office. Parliaments in Germany and France have called for action to ‘uphold the fundamental rights’ at the EPO. Pressure on president Benoit Battistelli to resign or finally change things seems higher than ever. Will it happen? ‘The Council had an exchange of views on the social situation at the Office and on the issue of the appointment procedure for the next President.’ Just one single phrase in the press release was dedicated to the ongoing social unrest at the EPO, after the 151th meeting of the EPO Administrative Council, 15 and 16 March 2017 in Munich. It hardly reflects the mounting pressure that EPO president Benoit Battistelli has had to face over a wide range of issues that have led to a disastrous social climate at the EPO: the controversial introduction of a new career system and rules on sick leave, Battistelli’s failure to review staff investigation guidelines and disciplinary procedures, as had been requested by the supervisory Administrative Council (AC) in a Resolution of March 2016; conflicts with the Boards of Appeal over their judicial independence; failure to recognize the SUEPO trade union and the dismissal or demotion of several union leaders, among others. Last November, the EPO was overruled by the International Labour Organisation Administration Tribunal (ILO-AT) in two labour conflicts. It has consequences for hundreds of other cases which will now need to be reviewed as well. In its judgment No. 3785 the ILO-AT ruled that an internal appeal handled by the EPO Appeals Committee was legally flawed, because of errors in the Committee’s composition which had existed since October 2014. Case No. 3796 concerned the introduction of the new career system. According to the ILO-AT, a request for a review regarding the career system (of which hundreds have been filed) should not have been handled by the AC, but by the EPO president. Apart from this, an exceptional ILO document was published last month on the ‘difficulties caused by the number of complaints which are filed by officials against the European Patent Organisation (EPO) and which threaten the ability of the Administrative Tribunal of the ILO to serve all other organizations’. After describing how the ‘public Judgments Nos 3785 and 3796 (…) identified some serious deficiencies both in the administrative review performed by the EPO Administrative Council and in the internal appeal system within the EPO’, the document sets out that ‘while in March 2016, 73 per cent of the total number of pending cases were complaints against the EPO, this percentage now stands at 54 per cent. However, the proportion of EPO-related complaints remains high compared to that of the other 60 organizations under the Tribunal’s jurisdiction’ and ‘the level of litigation generated within the European Patent Office still represents a challenge for the smooth functioning of the Tribunal.’ The document is being discussed at the ILO this month. 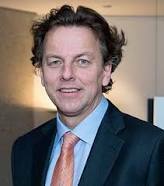 If there is no clear improvement in the industrial relations within the EPO in the short term, I see no other option but the discussion of the situation at a high political level with the member states of the European Patent Organisation’, Koenders wrote. In Germany and France, concerns were voiced at a high level as well. Last month, representatives of the parliament in Bavaria, home to the EPO’s Munich office, asked Bavarian, Federal and European leaders ‘to press hard to uphold the fundamental rights’ of the EPO personnel. Despite the harsh criticism, Battistelli has so far managed to gather enough support in the Administrative Council, with its representatives of 38 EPO member states, to stay on. It is hard from the outside to understand why this is. In any democratic country, we would know what was going on. But at the EPO there is no transparency or such a thing as parliamentary control. And as an international organisation which enjoys immunity and operates in the specialized patent sector, it has long escaped the attention of the mainstream press. In order to oust the president, a qualified 3/4 majority of the votes in the AC is necessary. Apparently, there are at least ten states which are satisfied with Battistelli’s reforms of for instance the salary and pension system, and his measures to improve the performance of the Office; despite the severe problems in terms of workers’ rights. It can also be a factor that more granted patents generate more income for EPO member states or their patent offices. But is this really what the economy needs, as the EPO claims? The German legal website JUVE recently published the results of a survey (English version here) among 186 technology companies worldwide, which revealed serious concerns about the functioning of the European Patent Office. 87 percent of the respondents said Battistelli is not doing a good job. Less than one third is happy with the reform of the Boards of Appeal. 54 percent wants Battistelli to step down and only 8 percent says he must stay. Also, there is growing concern about the effect of the EPO unrest on patent quality, according to the survey. Still, Battistelli’s term as president ends in July 2018 and though he is under high pressure to improve the social situation at the EPO, it is not likely he will leave sooner than that. The appointment procedure for the next president, mentioned in the EPO press release, was initiated and shortly discussed last week and the intention is to agree on a text for a vacancy notice in the next meeting in June, with the selection procedure for a successor possibly starting in October. The situation at the EPO has become steadily worse since its inception. While the original management was largely composed of pioneers keen to produce the best patent system ever seen, presidents since then have been under pressure from the Administrative Council of the EPO to steadily improve the production statistics. This pressure has been passed on to the staff. When one thinks how easy it would be for examining staff to improve their output figures by cutting quality, it is to their professional credit that the quality has not collapsed altogether. The situation becomes more understandable when one remembers that the Administrative Council includes a large number of representatives from the national patent offices, and while much is made of the partnership between these offices and the EPO, they remain in effect its competitors. As legal adviser to SUEPO I advised in 2016 that the staff of the EPO in all its jurisdictions enjoy full human rights protection, notwithstanding the diplomatic status of the EPO itself. The powers delegated by the Contracting States to EPO can be no greater than the powers of those Contracting States themselves, and these powers are restricted and informed by the international human rights commitments of those Contracting States. The subsidiarity principle applies. Sadly those officers of SUEPO who were instructing me were themselves summarily dismissed shortly after making the legal opinion public.